Helen Danielson Breden, age 101, of Ortonville, died August 16, 2018, at Fairway View Neighborhoods in Ortonville, MN. Funeral services will be held on Wednesday, August 22, 2018, at 11am at Abiding Faith Free Lutheran Church in Ortonville. Visitation will be held on Tuesday, August 21, 2018, from 5 to 7pm at the church with a prayer service to follow. Reverend Richard Larson will officiate and burial will be in the Eidskog Cemetery. Helen Luella (Leedahl) Danielson Breden was born on February 23, 1917, in Leonard, ND to Anton and Gertrude (Versdahl) Leedahl. She was one of eleven children born to loving and caring parents. Helen was baptized and confirmed at Zion Lutheran Church in Leonard, ND, and attended rural school there until 8th grade. Helen was united in marriage to Harold Danielson and together, they raised two children on the farm. She was a hard worker on the farm: making and taking many meals to the fields and also for her family at home. Helen was noted for Kringles, Lefsa, and her homemade angel food cakes for all the family birthdays. The family has yet to perfect this recipe. Harold passed away in 1982. After his passing, Helen spent time going to Fargo to visit her sisters. Her traveling companion was her granddaughter, Dana. Helen was united in marriage, in 1986, to Joseph Breden until his passing in 1995. They loved to travel: going as far as Arizona during the winter months and making two trips to Norway. She loved to sing. She was in a singing trio that sang at church and at the local radio station. Helen was very involved with her church duties at Eidskog, such as the Ladies’ Aide Group and teaching Sunday School. She helped with the fall Lutefisk suppers. 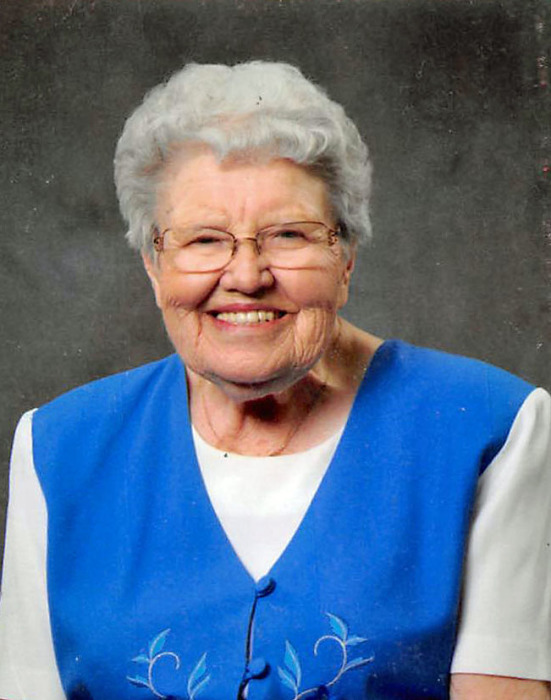 She was a charter member of the Abiding Faith Free Lutheran Church in Ortonville. She was an active member in the ladies’ groups, including participating in Sew and Sew Group making quilts. Left to cherish her memory are her children: Glen (Pat) Danielson of Ortonville, MN and Gloria Danielson of Ortonville, MN; grandchildren: Chad (Jenn) Danielson, Ryan (Julie) Danielson, and Dana (John) Novak; great-grandchildren: Amy, Drew (Sara), Bethany, and Connor Danielson; step-daughter, Betty (Wesley) Palmer of Reno, NV; step-grandchildren: Greg (Jackie) Anderson and Pam (Cam) Sorenson; and step-great-grandchildren: Kala Anderson, Blake Anderson, April Sorenson, Joseph Sorenson, and Jonathan Novak. Preceding Helen in death are her parents; husbands: Harold Danielson in 1982 and Joseph Breden in 1995; eight sisters; and two brothers.